Shelter Island's Sylvester Manor was established in 1652 as a provisioning plantation for the Barbadian sugar trade. Originally owned by an Anglo Dutch sugar consortium and worked by enslaved Africans, indentured or paid Native American and European laborers, it has, since its inception, played an ever-changing but always- important role in the culture of food. In the last two centuries it was an Enlightenment-era farm and then, the country estate of one of America’s first food industrialists, Professor Eben Norton Horsford, inventor of baking powder and the father of modern food chemistry. In the twenty-first century, it became the non-profit Sylvester Manor Educational farm, which is dedicated to bringing sustainable agricultural practices back to Shelter Island. The Manor is notable for being one of the few places in America that has been in the same family since it was first developed in the mid-1600s. Bennett Konesni, co-founder and special projects advisor for the educational farm, is the eleventh generation in the family that has stewarded the property. Once comprising all of Shelter Island, today the Manor encompasses 243 acres of fields, forests, gardens and estuaries. In addition to the 1737 Manor House, it also includes an 1810 wind-powered gristmill made almost entirely from native trees. An important early-American archaeological site, the Manor is complemented by over 10,000 primary documents, one of the few archives of its kind, including family papers, books and letters. Describing and documenting changes of culture and land through nearly 400 years of American life, part of this remarkable collection has been restored and opened to academics by The Fales Library at New York University. From 1999-2005, The University of Massachusetts Boston held an archaeological field school on the property exploring the three cultures on the plantation in the 1600s. Over 1 million specimens from this dig are housed at the Fisk Center at UMass Boston. Additional papers, letters, books and documents are housed within the Manor House itself. The Sylvester Manor house is in fact a collection of several building and remodeling efforts spanning several hundred years. The original c. 1652 house, to be built of “six or seven convenient rooms” served the corporate needs of the four partners in the sugar venture. It also provided a home for Shelter Island's first European settlers, Nathaniel and Grizzell Sylvester, and their eleven children, as well as the slaves and indentured servants who worked on the property and lived in the attic. Beyond a brief reference in Grizzell’s 1685 will, there are no known descriptions of the 17th century plantation-era residence. The original house remained intact until c. 1737, when Nathaniel’s grandson, Brinley Sylvester, waged a long legal battle to claim his inheritance. He built a new residence close to the original home site. Though the new construction repurposed several beams, doors and other architectural elements from the original dwelling, Brinley’s house was a new, fashionable Georgian-style residence, still in existence today. Visitors to the Manor will still see in the south-facing front elevation of the current house the symmetrically placed “six-over-six” windows, central doorway, hipped roof and dormers and, inside, the interior features of the Georgian-period residence. Brinley repeated the rigid geometrical design of his house in the two-acre adjoining garden, where the orchard, axial boxwood paths and formal rectangular garden beds of herbs, vegetables and flowers, were laid out for a combination of kitchen and commercial uses and aesthetic delight. The house remained relatively unchanged until the mid-1830s, when proprietor Samuel Smith Gardiner and his wife, Sylvester descendant Mary Catherine L’Hommedieu Gardiner, made several modifications. Gardiner, a lawyer, adapted the house to serve the needs of his busy law practice: a first floor bedroom was remade into a study via the addition of an eastern exterior side door and inner vestibule to accommodate waiting clients. The kitchen, currently the dining room, was expanded in an “El” to the north, and cream-colored paint was applied over the Prussian blue and white lead pigment first applied by Brinley Sylvester in c. 1737. To this day, these are the only two coats of paint to cover the Manor’s wainscot paneling in the parlor and the paneled upstairs bedroom. Two Gardiner daughters, first Mary, then Phoebe, married Harvard professor Eben Norton Horsford and the house, called Abbey Manor by the family, became a summer residence for the Horsfords and their Cambridge friends including H.W. Longfellow, Asa Gray, Sara Orne Jewitt, John Whittier Greenleaf. Cornelia Horsford, daughter of Eben and Phoebe, had been mistress of the Manor’s gardens for many years before inheriting the property in 1903. In 1908, she hired Henry Bacon, architect of the Lincoln Memorial, in Washington, to design a large Colonial Revival addition to the existing house and adapt its older interiors to twentieth century needs. Bacon widened the central hall and main staircase, installed a new kitchen in the basement, added two symmetrical covered side-porches to the east and west facades, and more than doubled the size of the house with a significant addition to the back. In homage to the Sylvester’s Dutch origins, Bacon included blue and brown Delft tiles in his fireplace redesigns. 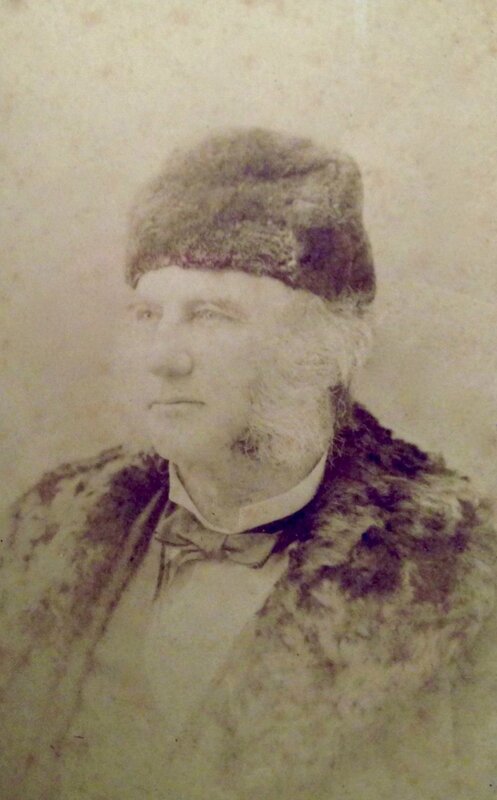 The last resident “Lord of the Manor” was Andrew Fiske, Cornelia’s nephew. Inheriting the Manor from his aunt in 1944, he began a program of modernization that brought the house fully into the twentieth century. Cornelia’s first floor butler’s pantry was replaced with a modern kitchen, with its basement predecessor repurposed as a flower room for his wife, Alice Hench Fiske. The antique coal-burning furnace was replaced by a contemporary gas burner, though the last Sylvester Manor coal delivery, made over a half-century ago, still rests where it was delivered in the southwest corner of the basement. When Andrew died in September 1992, his wife Alice, remained in the Manor. She was an avid gardener, with a particular fondness for daffodils, and the Manor's gardens were as renowned during her tenure as they had been during that of Cornelia Horsford. Upon her death in April of 2006, the property passed on to Andrew's nephew, Eben Fiske Otsby, who, with his nephew, Bennett Konesni, created the Sylvester Manor Educational Farm in 2010, thus ensuring the preservation of these spectacular lands and key piece of colonial and American History.